In January 2012 Ishtar was guided by the Ascended Masters to purchase a property and create the Ashram of the One Heart. Ishtar found this property in September 2012 and has since created this Ashram in Umina Beach, which is just 1.5 hours drive north of Sydney, Australia. The Ashram sits on the mountain overlooking the beach and is surrounded by treees and birdlife. 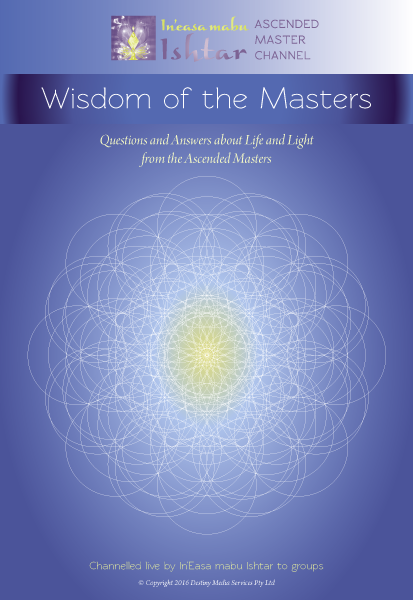 This Ashram is dedicated to the Ascended Masters and they are the 'gurus' in residence. There is a very large portal of light that is being anchored in this spacethrough a large crystalline altar, and this portal supports all of the work that Ishtar does with the Ascended Masters and her Divine Self, as well a offering a profound place of spiritual connection for all who wish to visit and spend time in this portal. Spiritual seekers, students and anyone wishing to connect to the light are welcome to come and visit at the Ashram for meditation events, student days, workshops and monthly weekend retreats. The Ashram is able to sleep 11 people in shared accomodation at these times and by invitation. The Ashram is also Ishtar's home and living space. As you sit in this space you know in your mind dear one that the unity of the heart is a place of calm and peace and is indeed a temple of light that may be opened once more in your heart and held opened through your love for yourself. Love for the light that you are dear heart, and this is reflected to you in this sacred space through the open hearts and held opened through your love for yourself. Love for the light that you are dear heart, and this is reflected to you in this sacred space through the open hearts and minds of all who offer service here. The September Spiritual Connection Weekend at the Ashram will be September 27-29 with Zamara from Perth teaching Sacred Geometry and Maria on trauma in the body.